Tad Anderson wrote an excellent review of Pro .NET Best Practices in the .NET Developer’s Journal. In Part 1 of this four part series you learned how a code’s implicit dependency on the system clock can make the software difficult to test. The first post presented a very simple solution, pass in the clock as a method parameter. It is effective, however, adding a new parameter to every method of a class isn’t always the best solution. Here is a second way to fake time. It is brute force in the sense that it is rudimentary. Using full-blown dependency injection with an IoC container is left as an exercise for the reader. The goal of this post is to illustrate the principle and provide you with a technique you can use today. In this example code, the Allowed method changed very little from how it was written at the end of the first post. The primary difference is that there isn’t any clock optional argument. The value of the now variable comes from the new class property named Now. Let’s take a closer look at the Now property. First, it has a backing variable named _now, which is declared as a nullable DateTime. Second, since _now defaults to null, this means that the Now property getter will return System.DateTime.Now if the property is never set. In other words, if the Now property is never set then that property behaves like a call to System.DateTime.Now. And so, if our test code sets the Now property to a specific DateTime value then that property returns that DateTime value, instead of System.DateTime.Now. This allows the test code to “freeze the clock” before calling the method-under-test. The following is the revised test method. It sets the Now property to the currentTime value at the end of the arrangement section. This, in effect, fakes the Allowed method, and establishes a known value for the clock. There is one more subtlety to mention. The test method cannot set the class-under-test’s Now property without being allowed access. This is accomplished by adding the following line to the end of the AssemblyInfo.cs file in the Lender.Slos.Financial project, which declares the class-under-test. The use of InternalsVisibleTo establishes a friend assembly relationship. I use this approach when working with legacy or Brownfield code. It is a minimally invasive technique. In the next part of this Fake Time series we’ll look at the IClock interface and a constructor injection approach. Earlier in the month, Crossderry interviewed me about my book Pro .NET Best Practices. Below is the entire four-part interview. Reprinted with the permission of @crossderry. Q: Your book’s title notwithstanding, you’re keen to move people away from the term “best practices.” What is wrong with “best practices”? A: My technical reviewer, Paul Apostolescu, asked me the same question. Paul often prompted me to really think things through. I routinely avoid superlatives, like “best”, when dealing with programmers, engineers, and other left-brain dominant people. Far too often, a word like that becomes a huge diversion with heated discussions centering on the topic of what is the singularly best practice. It’s like that old saying, the enemy of the good is the best. Too much time is wasted searching for the best practice when there is clearly a better practice right in front of you. A “ruthlessly helpful” practice is my pragmatist’s way of saying, let’s pick a new or different practice today because we know it pays dividends. Over time, iteratively and incrementally, that incumbent practice can be replaced by a better practice, until then the team and organization reaps the rewards. As for the title of book, I originally named it “Ruthlessly Helpful .NET”. The book became part of an Apress professional series, and the title “Pro .NET Best Practices” fits in with a prospective reader and booksellers’ expectations for books in that series. Q: One of the pleasant surprises in the book was the early attention you paid to strategy, value, scope, deliverables and other project management touchstones. Why so much PM? A: I find that adopting a new and different practice — in the hope that it’ll be ruthlessly helpful one — is an initiative, kinda like a micro-project. This can happen at so many levels … an individual developer, a technical leader, the project manager, the organization. For the PM and for the organization, they’re usually aware that adopting a set of better practices is a project to be managed. For the individual or group, that awareness is often missing and the PM fundamentals are not applied to the task. I felt that my book needed to bring in the relevant first-principles of project management to raise some awareness and guide readers toward the concepts that make these initiatives more successful. Q: Can you give an example or three of how project managers can be “ruthlessly helpful” to their development teams? 1) Insist that programmers, engineers and other technical folks go to the whiteboard. Have them draw out and diagram their thinking. ”‘Can you draw it up for everyone to see?” Force them to share their mental image and understanding. You will find that others were making bad assumptions and inferences. Never assume that your development team is on the same page without literally forcing them to be on the same page. 2) Verify that every member of our development team is 100% confident that their component or module works as they’ve intended it to work. I call this: “Never trust an engineer who hesitates to cross his own bridge.” Many developer’s are building bridges they never intend to cross. I worked on fixed-asset accounting software, but I was never an accountant. The ruthlessly helpful PM asks the developer to demonstrate their work by asking things like “… let me see it in action, give it a quick spin, show me how you’re doing on this feature …”. These are all friendly ways to ask a developer to show you that they’re willing to cross their own bridge. 3) Don’t be surprised to find that your technical people are holding back on you. They’re waiting until there are no defects in their work. Perfectionists wish that their blind spots, omissions, and hidden weakness didn’t exist. Here’s the dilemma; they have no means to find the defects that are hidden to them. The cure they pick for this dilemma is to keep stalling until they can add every imaginable new feature and uncover any defect. The ruthlessly helpful PM knows how to find effective ways to provide the developers with dispassionate, timely, and non-judgmental feedback so they can achieve the desired results. This question — about problems project managers impose on their projects — wraps up my interview with Stephen Ritchie. Q: What are common obstacles that project managers introduce into projects? A: Haste. I like to say, “schedule pressure is the enemy of good design.” During project retrospectives, all too often, I find the primary technical design driver was haste. Not maintainability, not extensibility, not correctness, not performance … haste. This common obstacle is a silent killer. It is the Sword of Damocles that … when push comes to shove … drives so many important design objectives underground or out the window. Ironically, the haste is driven by an imagined or arbitrary deadline. I like to remind project managers and developers that for quick and dirty solutions … the dirty remains long after the quick is forgotten. At critical moments, haste is important. But haste is an obstacle when it manifests itself as technical debt, incurred carelessly and having no useful purpose. Other obstacles include compartmentalization, isolation, competitiveness, and demotivation. Here’s the thing. Most project managers need to get their team members to bring creativity, persistence, imagination, dedication, and collaboration to their projects if the project is going to be successful. These are the very things team members *voluntarily* bring to the project. Look around the project; anything that doesn’t help and motivate individuals to interact effectively is an obstacle. Project managers must avoid introducing these obstacles and focus on clearing them. When creating test cases, I find that using prime numbers helps avoid coincidental arithmetic issues and helps make debugging easier. A common coincidental arithmetic problem occurs when a test uses the number 2. These three expressions: 2 + 2, 2 * 2, and System.Math.Pow(2, 2) are all equal to 4. When using the number 2 as a test value, there are many ways the test falsely passes. Arithmetic errors are less likely to yield an improper result when the test values are different prime numbers. Consider a loan that has a principal of $12,000.00, a term of 360 payments, an annual interest rate of 12%, and, of course, don’t forget that there are 12 months in a year. Because the coincidental factor is 12 in all these numbers, this data scenario is a very poor choice as a test case. In this code listing, the data-driven test cases use prime numbers and prime-derived variations to create uniqueness. Also, I find that it’s often helpful to avoid using arbitrary, hardcoded strings. When the content in the string is unimportant, I use Guid.NewGuid.ToString(), or I write a test helper method like TestHelper.BuidString() to create random, unique strings. This helps avoid same-string coincidences. For those who would like an overview of Pro .NET Best Practices, here’s a rundown on the book. The book presents each topic by keeping in mind two objectives: to provide reasonable breath and to go into depth on key practices. For example, the chapter on code analysis looks at both static and dynamic analysis, and it goes into depth with FxCop and StyleCop. The goal is to strike the balance between covering all the topics, discussing the widely-used tools and technologies, and having a reasonable chapter length. Chapters 1 through 5 are focused on the context of new and different practices. Since adopting better practices is an initiative, it is important to know what practices to prioritize and where to uncover better practices within your organization and current circumstances. This chapter shows how to choose new and different practices that are better practices for you, your team, and your organization. This chapter draws out ways to uncover better practices in the areas of .NET and general software development that provide an opportunity to discover or learn and apply better practices. This chapter presents practical advice on how to get team members to collaborate with each other and work toward a common purpose. This chapter describes specific practices to help with quantifying the value of adopting better development practices. This chapter provides you with practices to help you focus on strategy and the strategic implications of current practices. Chapters 6 through 9 are focused on a developer’s individual practices. These chapters discuss guidelines and conventions to follow, effective approaches, and tips and tricks that are worth knowing. The overarching theme is that each developer helps the whole team succeed by being a more effective developer. This chapter helps sort out the generalized statements, principles, practices, and procedures that best serve as .NET rules and regulations that support effective and innovative development. This chapter is an informal review of the C# language’s power both to harness its own strengths and to recognize that effective development is a key part of following .NET practices. This chapter describes many specific practices to improve test code, consistent with the principles behind effective development and automated testing. This chapter discusses using build automation to remove error-prone steps, to establish repeatability and consistency, and to improve the build and deployment processes. Chapters 10 through 12 are focused on supporting tools, products, and technologies. These chapters describe the purpose of various tool sets and present some recommendations on applications and products worth evaluating. This chapter presents the continuous integration lifecycle with a description of the steps involved within each of the processes. Through effective continuous integration practices, the project can save time, improve team effectiveness, and provide early detection of problems. This chapter provides an overview of many static and dynamic tools, technologies, and approaches with an emphasis on improvements that provide continuous, automated monitoring. Chapter 12 is a comprehensive list of testing frameworks and tools with a blend of commercial and open-source alternatives. The final chapter is about the aversions and biases that keep many individuals, teams, and organizations from adopting better practices. You may face someone’s reluctance to accept or acknowledge a new or different practice as potentially better. You may struggle against another’s tendency to hold a particular view of a new or different practice that undercuts and weakens its potential. Many people resist change even if it is for the better. This chapter helps you understand how aversions and biases impact change so that you can identify them, cope with them, and hopefully manage them. Update 2012-06-04: It still amazes me that not a thing has changed to make it any easier to download FxCopSetup.exe version 10 in the nearly two years since I first read this Channel 9 forum post: http://channel9.msdn.com/Forums/Coffeehouse/561743-How-I-downloaded-and-installed-FxCop As you read the Channel 9 forum entry you can sense the confusion and frustration. However, to this day the Microsoft Download Center still gives you the same old “readme.txt” file instead of the FxCopSetup.exe that you’re looking for. Quick, flash mob! Let’s go liberate the FxCop 10.0 setup program from the Microsoft Windows SDK for Windows 7 and .NET Framework 4 version 7.1 setup. 1. [Don’t do this step!] Go to Microsoft’s Download Center page for FxCop 10.0 (download page) and perform the download. The file that is downloaded is actually a readme.txt file. On the FxCop 10.0 Download Center page, under the Brief Description heading, shouldn’t the text simply describe the steps and provide the link to the Microsoft Windows SDK for Windows 7 and .NET Framework 4 version 7.1 download page? That would be more straightforward. 4. 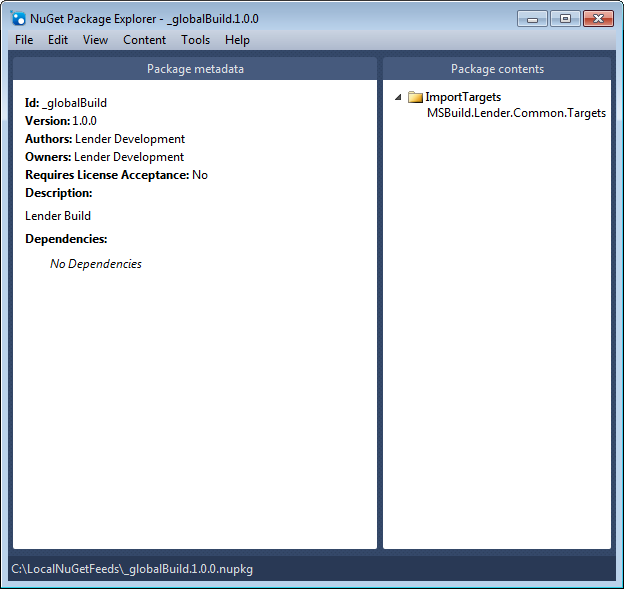 Use the Microsoft Windows SDK for Windows 7 and .NET Framework 4 version 7.1 link to jump over to the SDK download page. 5. [Don’t actually download this, either!] The estimated time to download on a T1 is 49 min. The download file is winsdk_web.exe is 498 KB, but under the Instruction heading the explanation is provided: The Windows SDK is available thru a web setup (this page) that enables you to selectively download and install individual SDK components or via an ISO image file so that you can burn your own DVD. Follow the link over to download the ISO image file. 6. Download the ISO image file on the ISO download page. This is a 570 MB download, which is about 49 min on a T1. 7. Unblock the file and use 7-Zip to extract the ISO files. 8. 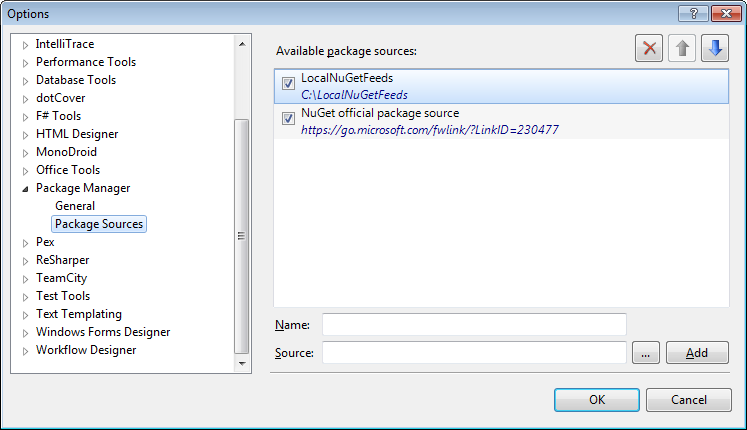 Navigate to the C:\Downloads\Microsoft\SDK\Setup\WinSDKNetFxTools folder. 9. Open the cab1.cab file within the WinSDKNetFxTools folder. Right-click and select Open in new window from the menu. 11. Make a sensibly named folder for the FxCop setup file to go into, for example, create a folder called C:\Downloads\Microsoft\FxCop\Setup. 12. Right-click on the “WinSDK_FxCopSetup.exe + gobbledygook” file and select Copy. Copy the “WinSDK_FxCopSetup.exe + gobbledygook” file into C:\Downloads\Microsoft\FxCop\Setup folder. 13. Rename the file to “FxCopSetup.exe”. This is the FxCop setup file. 14. So the CM, Dev and QA teams or anyone on the project that needs FxCop doesn’t have to perform all of these steps copy the 14 MB FxCopSetup.exe file to a network share. Apparently, a decision was made to keep the FxCop setup off Microsoft’s Download Center. Now the FxCop 10 setup is deeply buried within the Microsoft Windows SDK for Windows 7 and .NET Framework 4 Version 7.1. Since the FxCop setup was easily available as a separate download it doesn’t make sense to bury it now. Microsoft’s FxCop 10.0 Download Page really should offer a simple and straightforward way to download the FxCopSetup.exe file. This is way too complicated and takes a lot more time than is appropriate to the task. P.S. : Much thanks to Matthew1471’s ASP BlogX post that supplied the Rosetta stone needed to get this working. On a recent project there was one single line of code that a developer added intended to fix a reported issue. It was checked in with a nice, clear comment. It was an innocuous change. If you saw the change yourself then you’d probably say it seemed like a reasonable and well-considered change. It certainly wasn’t a careless change, made in haste. But it was a ticking time bomb; it was a devilish lurking bug (DLB). The change would have been checked in, built and then deployed to the QA/testing team’s system-test environment. There were no automated tests, and so, the DLB would have had cover-of-night. QA/testing would have experienced this one code change commingled with a lot of other new features and fixes. The DLB would have had camouflage. When the DLB was encountered the IIS service-host would have crashed. This would have crashed any other QA/testing going on at the same time. The DLB would have had plenty of patsies. Ironically, the DLB would have only been hit after a seldom-used feature had succeeded. This would have created a lot of confusion. There would have been many questions and conversations about how to reproduce the tricky DLB, for there would have been many red herrings. Since the DLB would seem to involve completely unrelated functionality, all the developers, testers and the PM would never be clear on a root cause. No one would be sure of its potential impact or how to reproduce it; many heated debates would ensue. The DLB would have lots of political cover. Also likely, the person who added the one line of code would not be involved in fixing the problem because time had since passed and misdirection led to someone else working on the fix. The DLB would never become a lesson learned. First thing that morning the developer checked in the change and pushed it into the Mercurial integration repository. The TeamCity Build configuration detected the code push, got the latest, and started the MSBuild script that rebuilt the software. Once that rebuild was successful, the Automated Testing configuration was triggered and ran the automated test suite with the NUnit runner. Soon there were automated tests failing, which caused the build to fail and TeamCity notified the developer. A few minutes later that developer was investigating the build failure. He couldn’t see how his one line of code was causing the build to fail. I was brought in to consult with him on the problem. I couldn’t see any problem. We were perplexed. Together the developer and I used the test code to guide our debugging. We easily reproduced the issue. Of course we did, we were given a bulls-eye target on the back of Mr. DLB. We quickly identified a fix for the DLB. Less than an hour and a half after checking in the change that created the DLB, the same developer who had added that one line made the proper fix to resolve the originally reported issue without adding the DLB. Shortly thereafter, our TeamCity build server re-made the build and all automated tests passed successfully. The new build, with the proper fix, was deployed to the QA/testers and they began testing; having completely avoided an encounter with the DLB. Mr. DLB involved a method calling itself recursively, a death-spiral, a very pernicious bug. Within just that one line of added code a seed was planted that sent the system into a stack overflow that then caused the service-host to crash. CI and automated testing are always running and vigilantly. They’re working to ensure that the system deployed to the system-test environment actually works the way the developers intend it to work. If there’s a difference between the way the system works and the way the developer wants it to work then the team’s going to burn and waste a lot of time, energy and goodwill coping with a totally unintended and unavoidable conflict. If you want problem prevention then you have to focus on early detection.